Former England opener Marcus Trescothick has signed a one-year contract to keep him at Somerset until the end of the 2017 season. The 40-year-old made his first-class debut in 1993 and has made more than 800 appearances for the county. Trescothick played 76 Tests, 123 one-day internationals and three Twenty20 matches for England. 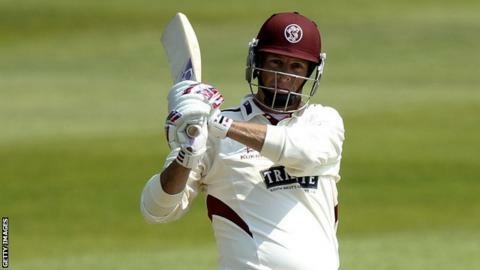 "I'm really enjoying my cricket and I still have the hunger to succeed," Trescothick told the club website. "I have made no secret of my desire to carry on playing for Somerset for as long as I can. "It's a really exciting time for the county at the moment with the talent that we have coming through and I can't wait to see what happens in the next 12 months." The 2017 season will be the 25th that Trescothick has been involved with the first team.